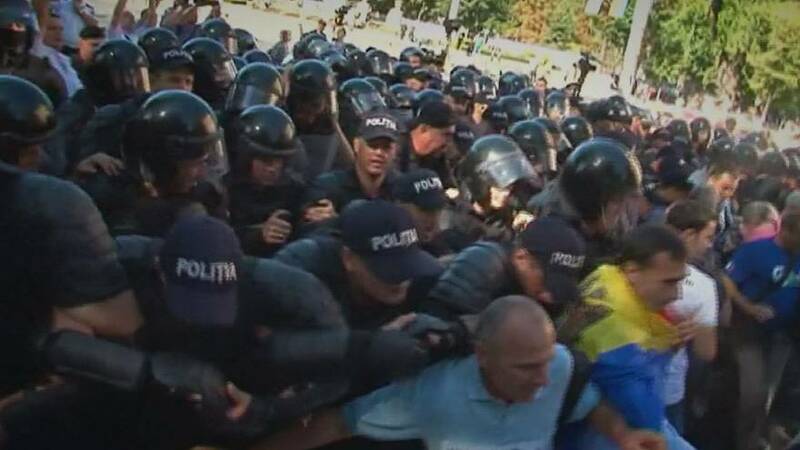 Officers used tear gas to disperse anti-government demonstrators who had gathered in Chisinau *KISHENOW, calling for political change. Twenty-five years after declaring independence from the Soviet Union, the country is plagued by corruption, poverty and emigration. The disappearance of nearly 1 billion euros from Moldovans banks has rocked people’s faith in politics and the country has seen five different prime ministers in the last year alone. Anti-government protests have been gathering pace in the last year and many promised further protests in September.